If your Google Home, Home Mini and/or Google Chromecast streaming stick were not working properly, you are not alone. 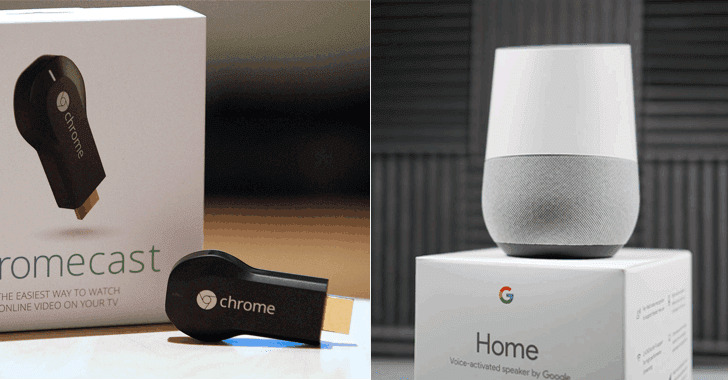 Google Home, Home Mini, and Chromecast were down globally for many users for several hours, leaving a lot of people with trouble watching TV, controlling smart home gadgets, and listening to music. Yesterday, hundreds of Chromecasts and Home users began complaining about their devices not working properly on both the official “Made by Google” Twitter account and Down Detector. Later, Google confirmed that its Home and Chromecast across the world went down due to an unspecified “issue,” and that the company was investigating the issue and working on a solution, but did not provide any kind of explanation about the glitch. The issue appears to be affecting devices that work using Google’s Home technology, which is a smart ecosystem that allows users to stream content to devices. “Bug confirmed… We use Chromecast in all our conference rooms and no way to cast anything on any of them,” one user complained on Twitter. “The fact that it’s been twelve hours my Chromecast has not been working and we’re only now finding out there’s an issue because of @madebygoogle that is ridiculous,” wrote another Twitter user. There was a glitch. Try again in a few seconds. Sorry, something went wrong. Try again in a few seconds. Your Google Home is not set up yet. To get started, download the Google Home app on a phone or tablet. Hmm, something went wrong. Try again in a few seconds. Chromecast users were facing a similar devastating problem: unable to cast media. The Chromecast icon was missing from specific applications. Users were also unable to cast media from the Google Home app. Google later assured its users that a broader fix is on the way, and confirmed that the outage was caused by an issue with one of the backend systems that support Google Home and Chromecast and that it is working to prevent this from happening in the future. The Made by Google Twitter account is now informing users that the company is rolling out an automatic update that could take six hours to reach everyone affected by the issue. Users are advised to keep their devices ON in order to receive the automatic update to fix the issue. If you can not wait, Google recommends rebooting your devices to bring them back online. However, some users said they tried hard to reset and reboot, but nothing worked.